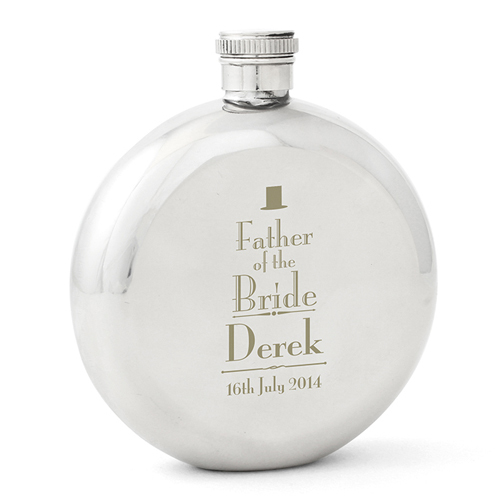 Personalise this Decorative Wedding Father of the Bride Round Hip Flask with a name up to 12 characters and a date up to 15 characters. 'Father of the Bride' is fixed text. Holds 5 fl oz and is made from stainless steel. This Hip Flask comes in a box with a stainless steel funnel.